Press release: Hacktag celebrates Hackoween with an important update and a special trailer. To celebrate Halloween, Hacktag is getting its largest content update and is introducing the first discount since starting the early access campaign. 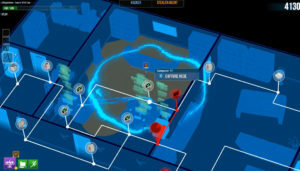 Paris, France – October 26th, 2017 – The independent video game developer Piece of Cake Studios is releasing its biggest ever update for Hacktag, the 2-player co-op stealth game with one agent and one hacker which launched on Steam early access on June 1st. This update includes a new mission mode, new levels and co-op mini-games, additional playable characters, and some important technical improvements. For the occasion, the game will also don its Halloween costume and will be for the first time ever on sale with a 33% discount off from November 26th to 1st. A new mission type: Boss Takedown. 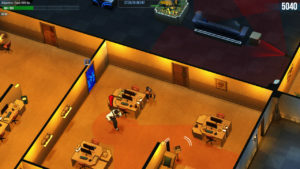 Since the beginning of its early access campaign, the studio has been updating Hacktag on a regular basis with new levels and patches almost weekly. Now the studio has decided to propose a new and more substantial content which includes a new type of mission named “Boss Takedown”. 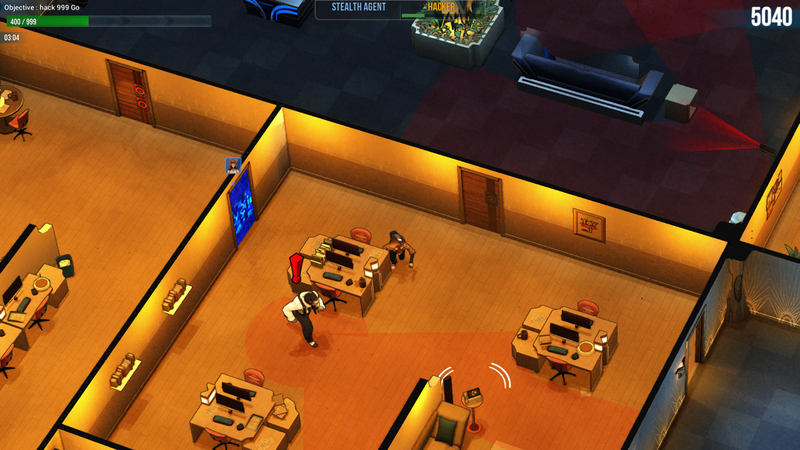 In this new mode, both players must infiltrate the offices of the corporations to hack the boss’ computer. However, the machine is protected by a password and each player must discover half of it unless they decide to save time and head directly to the protected computer without the password… at their own risks! The new type of mission “Boss takedown”. New gameplay situations with the appearance of trapped rooms. 5 new characters bringing the choice to 6 playable animal species. A series of important patches that greatly improve the online gaming experience. ← Time for a Big Update : Boss takedown!